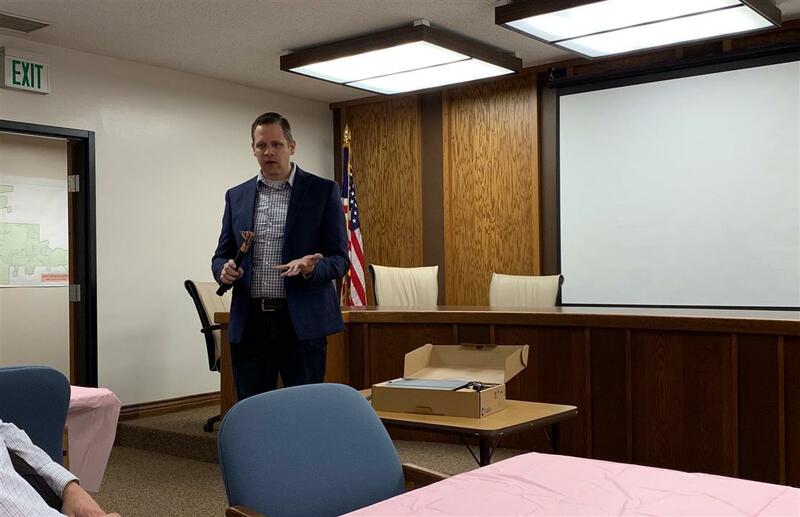 On February 13, 2019, Union Wireless gave the presentation during the Mountain View Chamber of Commerce luncheon. Mitch Revelli, gave a thorough presentation on Union’s new Broadband services and associated back up battery devices. He expounded on the technical and applicable aspects of this new high speed and reliable internet. The fiber does not use electricity like copper but instead relies on flashes of light that are delivered from central units called DSLAMs (Digital Subscriber Line Access Multiplexers). These beams of light are what carry those packets of data to and from your home or business. Unlike the copper, fiber requires a battery backup which deploys in time of power outages. According to Revelli, Union wants its customers and future customers to know what they have to offer during times of emergency. “We want to make sure our customers are aware of what we offer. And educate them on the options available.” For more information go to their website at www.UnionWireless.com.